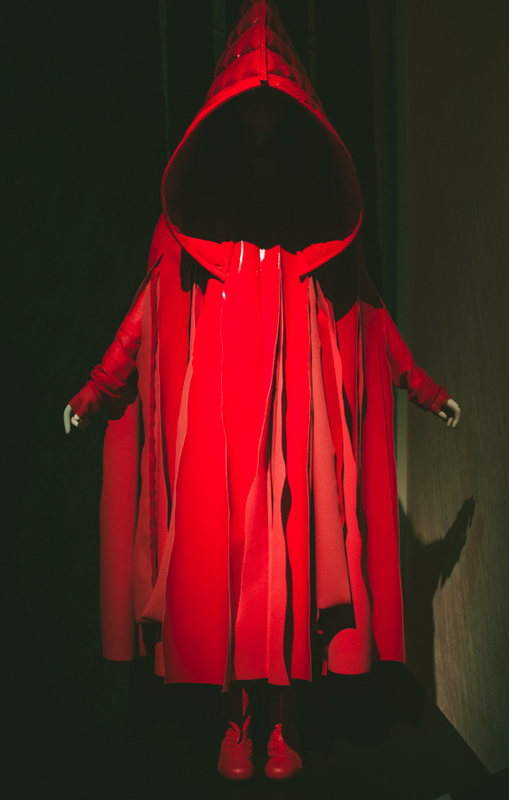 The exhibit features clothing grouped thematically around 15 fairy tales from writers such as the Brothers Grimm and Hans Christian Andersen. Some of the display items, such as the Cinderella slipper by Noritaka Tatehana, were specifically inspired by fairy tales. 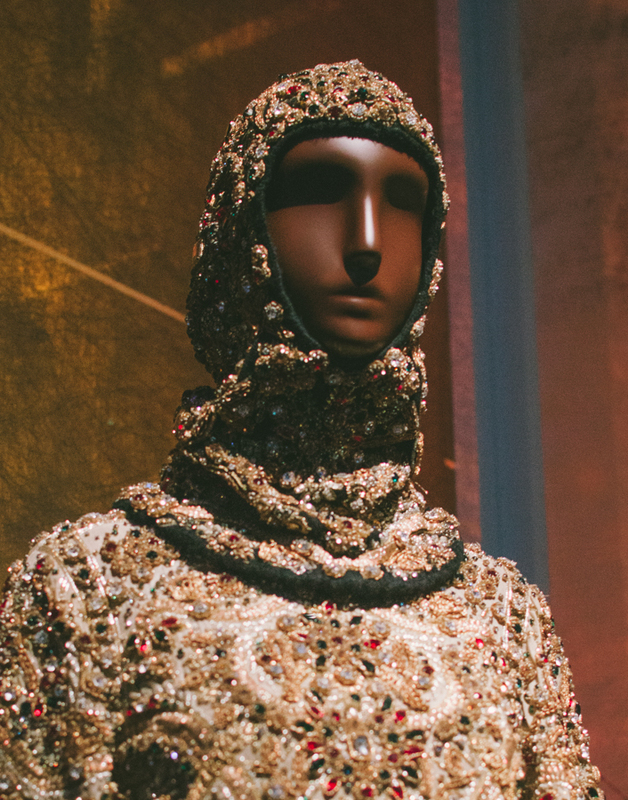 Others, like a gem-encrusted Dolce and Gabbana ensemble used to illustrate a “member of Sleeping Beauty’s court,” relied more on the aesthetic imagination of the curator for connection. The latter category included some pieces that felt like a bit of a stretch, but they were so pretty I didn’t care. One of the things I appreciate about the FIT museum is the way it generally positions clothing as historical document. It’s similar to how an art history teacher evaluates an old painting based on its ability to reflect society, culture and history rather than on aesthetic merit alone. Upstairs from the Fairy Tale show is another exhibition that does just that. It looks at denim as physical portal to understanding the past. 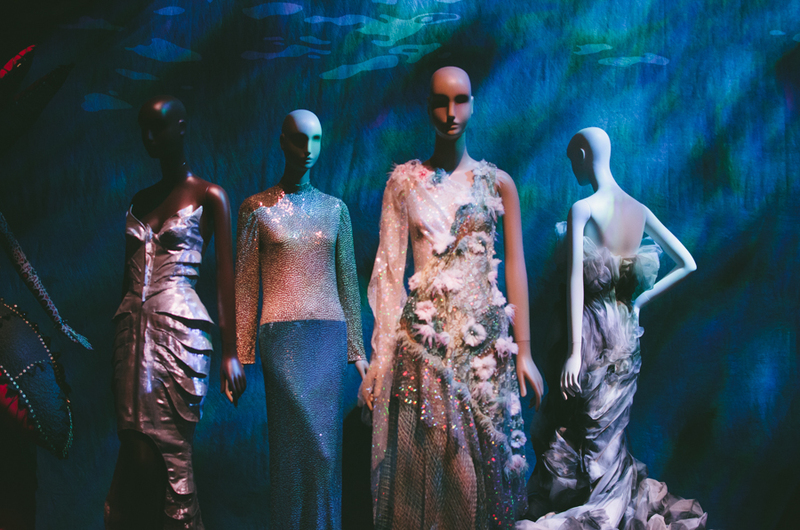 Yet in comparison to the downstairs gallery—with its more robust collection, moody lighting and imaginative backdrops—the denim collection seemed a little flat, even to a denim fangirl like me. But it would’ve been more useful to anyone looking for actual information. 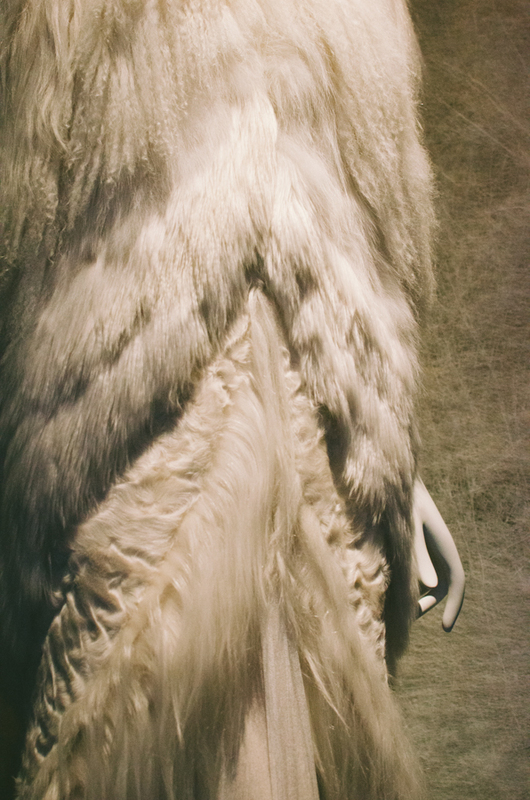 For all the visual loveliness of the Fairy Tale Fashion exhibit, there was very little content. It functioned more like an editorial spread in a magazine (look at these pretty clothes made by famous designers!) than like a reference book for a serious researcher (here’s a chunky bibliography; educate yourself). And that, I suppose, is either a very good thing or a very bad thing, depending on what you came to the exhibition for. So if you’re going to visit the FIT museum soon, here’s a little guide for you. Want a real-life version of your newsstand glossy? Head downstairs. Want to check out a fashion history textbook come to life? Stick to the ground floor.